Ah, Hocus Pocus. This film was only mildly successful when it came out in 1993 and to this day it is a very divisive film. 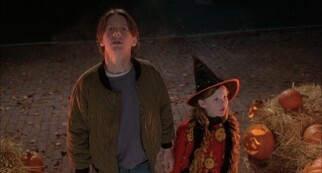 However, it is one of my favorite Halloween movies and a great family friendly movie, so I will be presenting it. The story focuses on three witches who were burned at the stake for their evil deed of stealing the souls of children in Salem, Massachusetts in 1693. Right before they died, they cast a spell on a black flame candle that once a virgin lit the candle on the full moon before Halloween, they would rise once again. Fast forward 300 years to 1993 and a young high school boy named Max Dennison lights the candle to impress a girl. The three witches rise again to steal the souls of little children. burden, but you’re going to do everything you can to protect her when things turn ugly. And lastly, you can try to impress the cute girl at school all you want, but you’re not going to win her over that way. agree with that), a man dressed in a devil costume is mistaken for the real thing, and the entire concept of Halloween being a night of young children dressing up as creatures is quite upsetting to them. 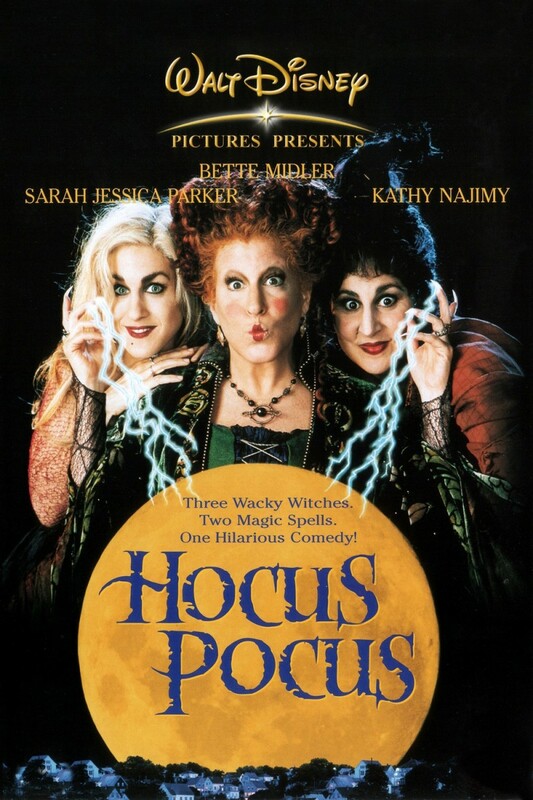 Bette , Kathy Najimy and Sarah Jessica Parker play the creepy yet kooky witches to perfection with just the right amount of terror and humor. 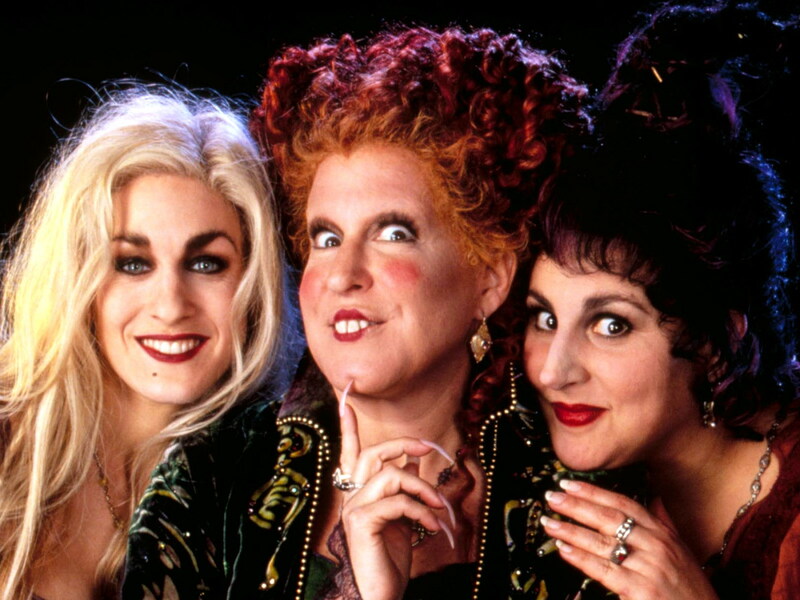 If these three witches do not get your kids excited about all things Halloween, then there is not much that will. One of my best childhood memories of Halloween is sitting around the TV turning on the Disney Channel and watching The Legend of Sleepy Hollow. For those who don’t know the story, it basically involves a very superstitious and easily scared school teacher, Mr. Ichabod Crane, being told a spooky story of a headless horsemen by the town prankster. When Ichabod makes his way home after the gathering, he is chased down by this headless horsemen and never heard from again. This story appeals to such a broad audience because we all love a good unsolved mystery. Kids enjoy it because it is spooky, scary and a stern reminder not to run off alone! 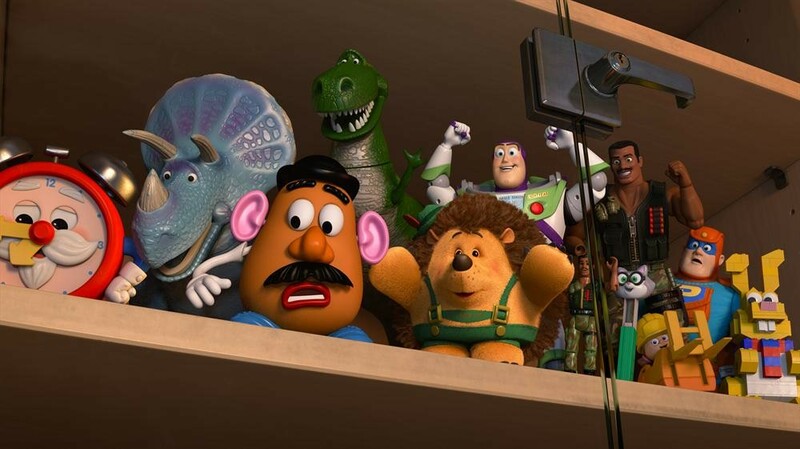 The animation may leave younger kids a bit disappointed as it is not CGI and is actually hand drawn (oh, the horror)! However, they will quickly forget that little tidbit as they are sucked into the world of Sleepy Hollow. The daytime settings are pleasant to look at, which gives you a nice secure feeling. Hold on to that feeling. You’re going to need it. When night falls on Sleepy Hollow the quiet, melodic town turns into a foreboding maze of dark forests, dimly lit cabins and dark, unlit paths. Of course, this is the part that is most appealing to kids and adults on Halloween night. 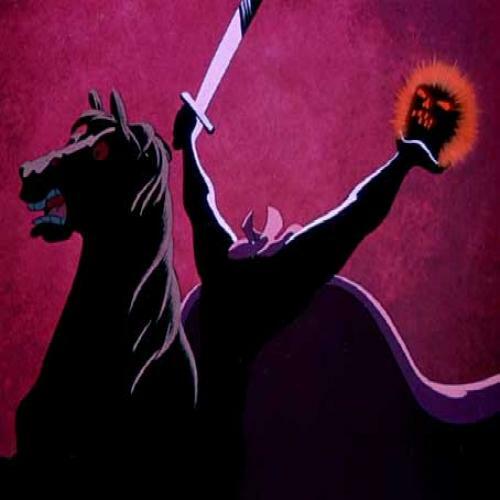 If you talk to your kids and explain tot hem that the dark is not scary, and that the headless horsemen is not, in fact, real, they will not be frightened and will be able to enjoy the story for what it is. The sense of fear and adventure stirs something primal in all of us, which is why this story and this cartoon version of it, continues to enthrall us all these years later. Sit down and put this family friendly telling of the Legend of Sleepy Hollow in your DVD player! Today’s entry in Fantastic Adventures in Family Entertainment is the little known high seas adventure, Shipwrecked. 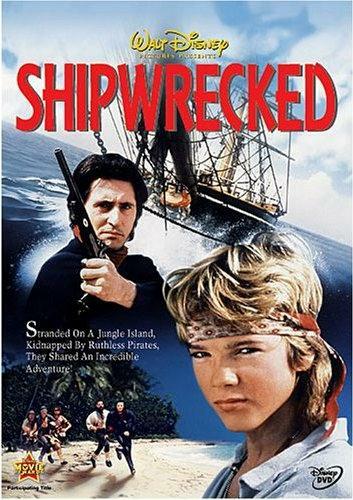 The story centers around a young boy, Haakon, who sails off as a cabin boy in order to save his family’s home. Little does he know, the ship’s captain and crew have all been replaced by pirates, who need the ship to return to a deserted sand to dig up their gold. Young Haakon, shipmate Jens and stowaway Mary discover the pirates’ plan and are forced to walk the plank in the middle of a storm. Haakon washes up alone on a deserted island and soon discovers it is the hiding place of the pirates’ treasure. Can he recover the treasure before the pirates return? Will he find his friends? Most importantly, how will he get home? Why it is a fantastic adventure: A young boy must survive on his own on a deserted island. Your kids will experience all the classic survival stuff: building shelters out of palm trees, weapons out of sticks, and eating coconuts and fish. A sense of exploration is crucial to your kids’ upbringing as creative individuals. They will be in Haakon’s shoes as he creates booby traps, fights for survival and attempts to stop the pirates from getting their treasure. Haakon is a great young character for your kids to look up to and identify with. He handles himself with poise as he is stranded alone with nothing but his instincts and smarts. Your kids will be itching to go on an adventure of their own, and don’t be surprised if you walk in to your living room being converted into a deserted island. of bed sheets. If you happen to have an indoor palm tree, expect that you will no longer have it in the near future! Overall, Shipwrecked is a fantastic adventure film safe for the entire family, and your kids will bond with Haakon and his island adventures. The next stop on our Halloween adventures: Disney’s Halloween Treat. This 45 minute video was released in 1982 and was a mainstay on the Disney Channel through the 1980s and part of the 1990s. Unfortunately, it no longer airs on broadcast television. But, you can find it on YouTube in seven parts. Link will be at the end of the post. 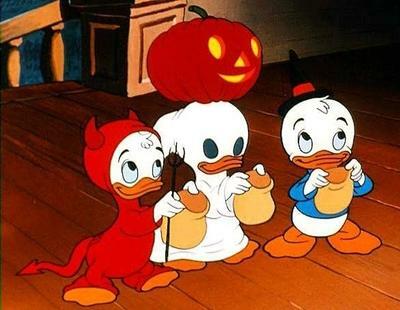 This Halloween special centers around Disney villains, creepy stories with your favorite characters (Mickey, Huey, Dewy and Louie, etc. ), and there are clips from some obscure Disney cartoons not seen since the 1970s. They all feature creepy settings, vivid characters and perfect family Halloween thrills. 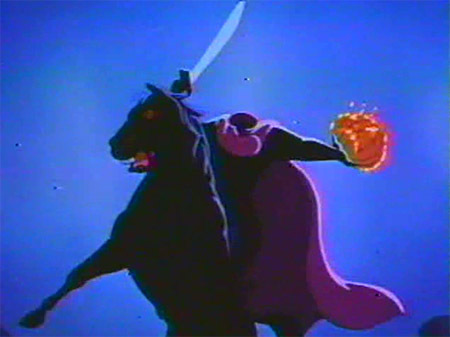 A talking jack-o’-lantern introduces each story which include such creepy scenes as dancing skeletons, Donald Duck hiding from a rampaging gorilla, the “Night on Bald Mountain” segment from Fantasia, the wizard’s duel from Sword in the Stone, and even a clip of the Headless Horseman chasing down poor Ichabod. These are just a few of the great segments you will find in this video. Why it is a fantastic adventure: Halloween is always a special time when you are a kid (and it should be when you’re an adult, too). This is one of those rare videos that can both frighten children while also making them howl for more when it is all over. 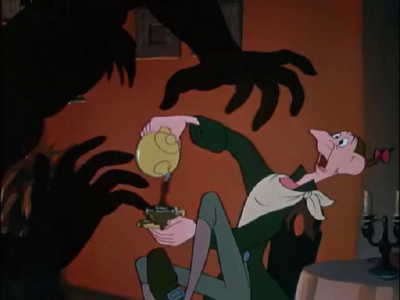 It has just the right amount of “scare” and creepy imagery mixed with the pleasantness of Disney. The truth is, we all love being scared. Your kids will be on the edge of their seats as they await whatever creepy creature is awaiting them in the next segment. It offers the thrill of being scared with the safety of the Disney brand. If your kids love Halloween and all the creatures that go along with it, then they will definitely enjoy this video. there are creatures of all kinds. This is also a great moment for your little kids to teach them what Halloween is all about. There may be scary and evil creatures, dark settings and spooky stories, but in the end it is all about having fun while being scared, getting and eating candy, and dressing up as your favorite creature or character. Of course, there is also a greater reason for Halloween, which you may share with your youngsters (but most of them won’t be ready to understand it), the remembrance and celebration of lost souls: relatives, ancestors, and all loved ones. 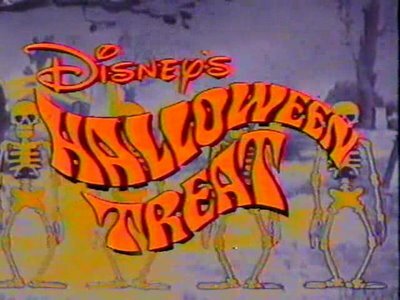 In the end, Disney’s Halloween Treat is a fun adventure for the entire family with some great scary moments, classic Disney characters and a great representation of all that is good about Halloween.